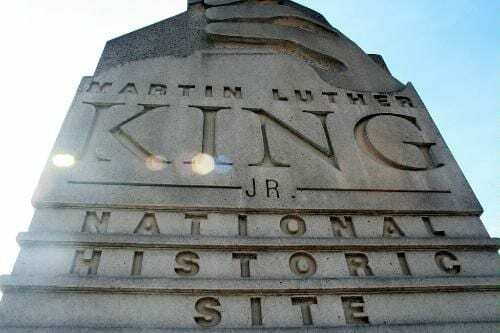 The Martin Luther King, Jr. National Historical Park in Atlanta, which has been closed due to lack of federal appropriations, will open to the public Saturday morning – ahead of Monday’s national holiday – through Sunday, Feb. 3 as a result of a grant from The Delta Air Lines Foundation and revenue generated by the National Park Service recreation fees. The National Historical Park encompasses Dr. King’s birth home, Ebenezer Baptist Church, historic Fire Station No. 6 and the park’s visitor center, all of which are federal entities and have remained closed due to lack of federal appropriations. Delta CEO Ed Bastian shared via his LinkedIn page today Delta’s reason for taking action. The $83,500 grant will cover the re-opening of the park, including clean up, administration, maintenance and operating costs of employees not covered under the fee collection funds. As part of the airline’s commitment to support education, the grant contributes to Delta’s initiative to give 1 percent of its annual net profits to key community organizations where employees live, work and serve.